While we have seen quite a few smartphones last week, Acer has launched two new smartphones for the Indian market. 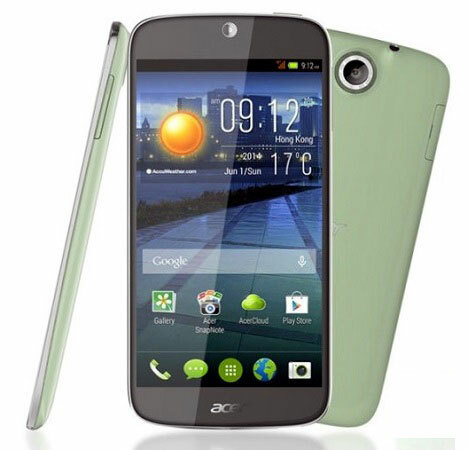 Acer has announced the launch of the Acer Liquid Jade and the Acer Liquid E700, which are the latest handsets in the company’s Liquid range, in the Indian market. The Liquid Jade has a 5 inch display with One Glass Solution, Corning Gorilla Glass protection and Zero Air Gap technology. The Liquid E700 has a plain 5 inch IPS display. Both the devices have resolution of 1280 x 720 pixels. The Acer Liquid Jade and the Liquid E700 are both powered by a quad core MediaTek processor along with 2 GB of RAM and 16 GB of internal storage. The Liquid Jade has a massive 13 MP camera whereas the Liquid E700 has an 8 MP camera. Both have a front facing 2 MP camera. The Liquid E700 has support for triple SIM. The Liquid Jade is priced at Rs. 16999 while the Liquid E700 is priced at Rs. 11999. Both the handsets would be available exclusively on Snapdeal.